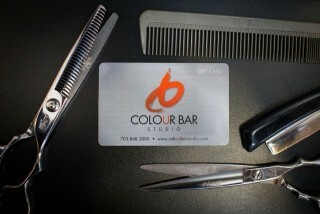 This April Colour Bar Studio will be holding its 4th annual Cut-A-Thon to raise awareness for Lyme disease. Tania Ferrel, owner of Colour Bar Studio, hopes to raise $12,000 during this event with all proceeds donated to the National Capital Lyme Association (www.natcaplyme.org). This donation will provide support and education for those suffering from Lyme disease and provide hope of finding a cure. Lyme disease receives around one quarter of the financial support that other diseases, such as malaria and tuberculosis, receive for research. As Lyme disease diagnosis continue to grow, the need for a cure has become more critical than ever. To encourage individual donations, our studio will be entering the names of all donors into a raffle. We believe that unique raffle prizes will ensure a successful drive and is thus looking for businesses to donate products and services to the raffles. Through your donation you can proudly brand your business as one that cares, while making a positive impact on Lyme disease research. We hope you’ll consider donating to Colour Bar Studio’s 4th Annual Cut-A-Thon and help make this our most successful drive to date! © Copyright 2019 NatCapLyme. All Rights Reserved. Designed and Developed by Sabra Creative.